two + four = ? 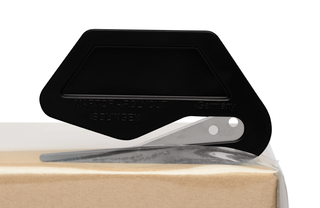 The SECUMAX POLYCUT is another of our small, plastic disposable cutters. 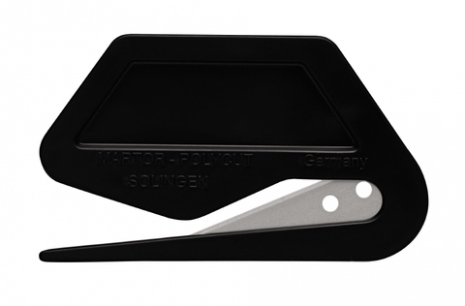 Not to be overlooked, this cutter is a proud member of our product range. Its extra-long and pointed nose makes it very special indeed. Try using it to open a letter. Or to cut foil bridging a narrow channel. The SECUMAX POLYCUT makes tasks such as these a breeze. That this tool is comfortable to use goes without saying. The quality blade is safely embedded between the nose and the handle. So it only cuts what you really want to cut. And there is no risk to your goods while doing so. The SECUMAX POLYCUT is a disposable cutter. Since you do not have to change the blade, neither you nor your staff can come into contact with it. An additional benefit as far as safety is concerned. Why the extra long and pointed nose in the SECUMAX POLYCUT? Because you can place it particularly well in the spaces in between . The cutting material is also led to the blade in a much more reliable way.